Right with the Christmas tree our wreaths are first to go up. There’s something about a festive wreath hanging on the door that welcomes in the season. 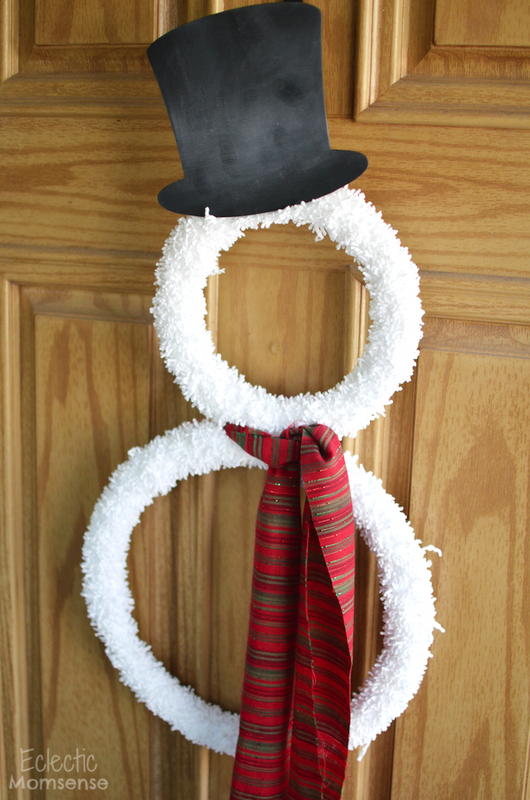 My Christmas wreath collection has gotten a bit out of control and I’m running out of places to hang them, but I couldn’t resist making this adorable snowman wreath. 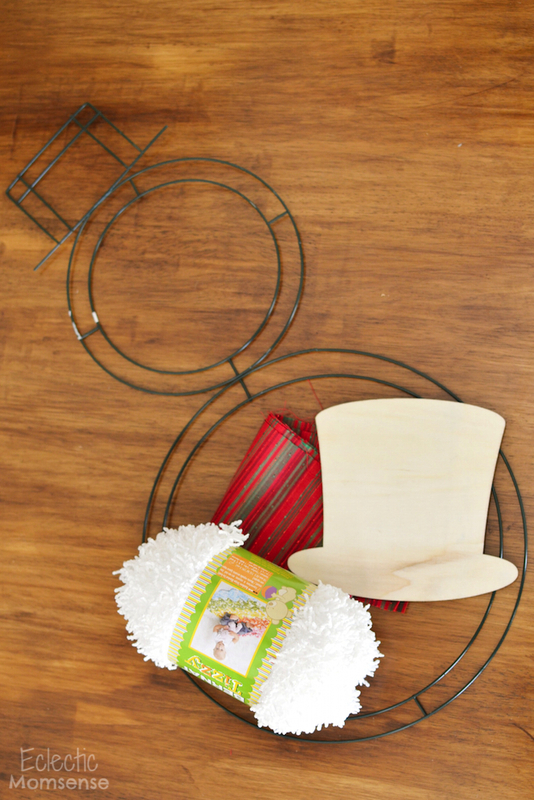 Paint the top hat with chalkboard paint and set aside to dry. Start by securing the end of your yarn to the wreath form with a knot. 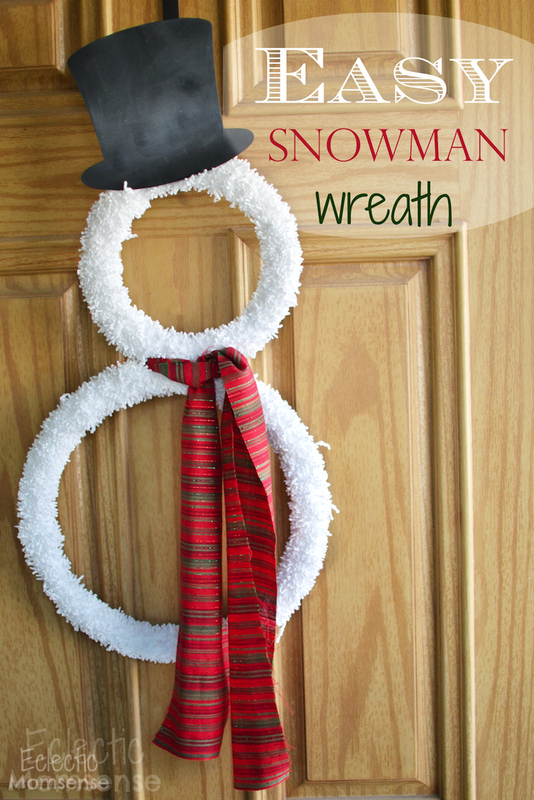 Wrap the white yarn around your wreath form. Continue wrapping and pushing each rotation tight to the next one. 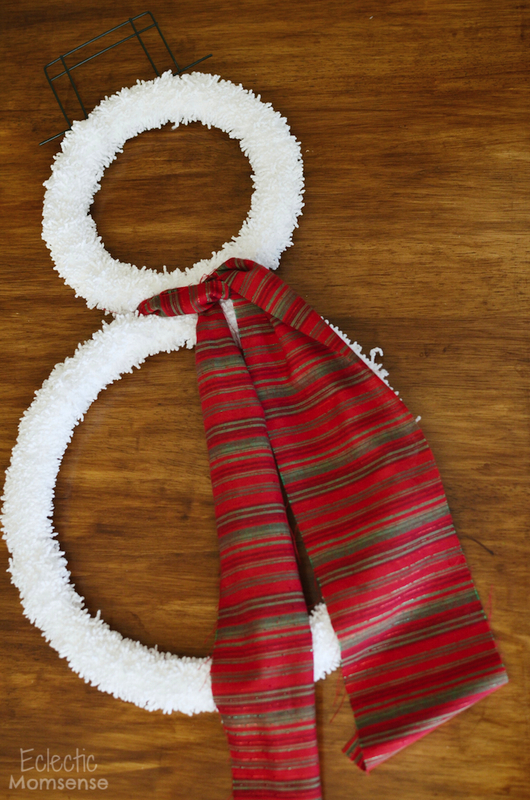 Take your fraction of fabric and wrap around the midsection of the two wreath forms. Tie a single knot; creating the scarf. Secure wire to the back of the hat with hot glue in 4 places. 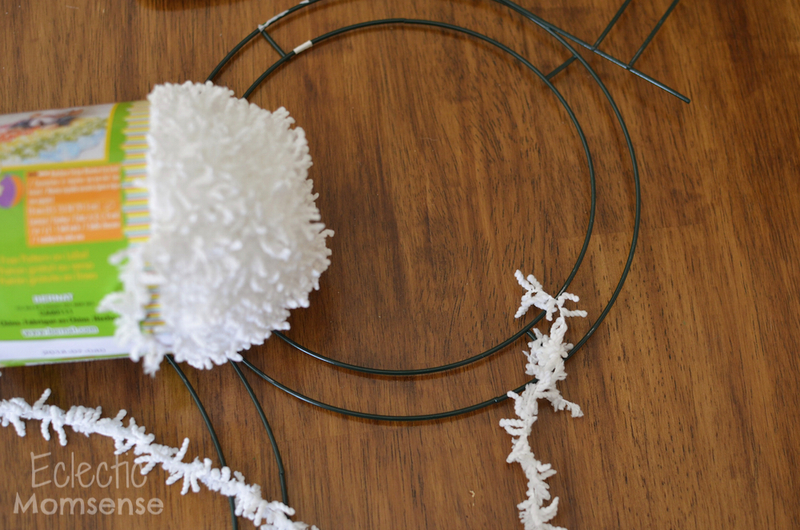 Once the glue has set, use the wire to secure to the top of your wreath form. He’s so cute and stands tall enough he would be adorable sitting on a mantle or even on a stake in my garden. 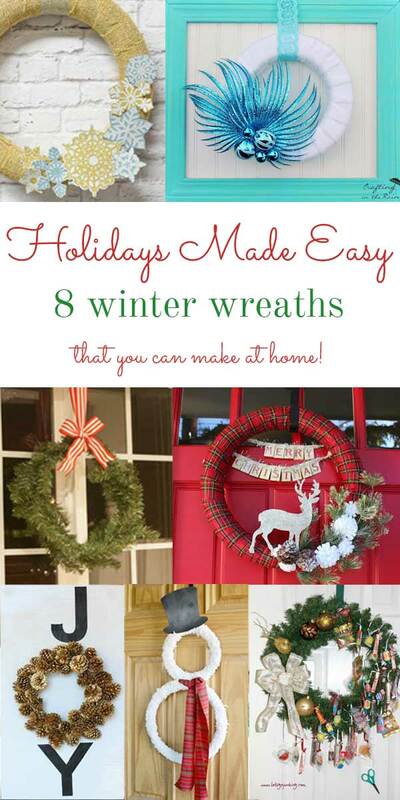 I’m sad to say that it’s the last day of Holidays Made Easy, but we’ve got a great collection of wreaths to share with you today. Take some time to look around these great ladies blogs and don’t miss out on the rest of this weeks features: ornament, drink, cookie, dish. 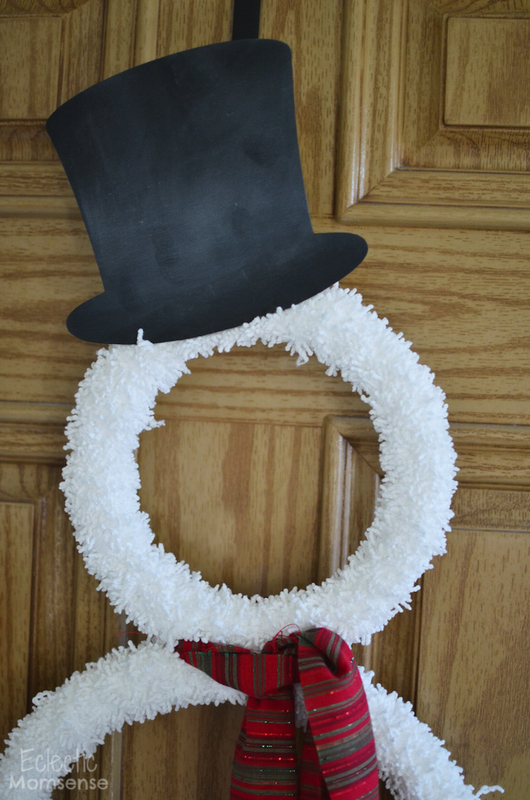 Can you remember where you got the snowman wreath form? I picked it up at Joann. This is by far the cutest one I have seen! So awesome kids will love it and I think I already have the yarn. Going to use the pic on a round up if that is ok with you. Thank you Tanya. Happy to be included with a link back. 🙂 preferably in a collage. Hello. 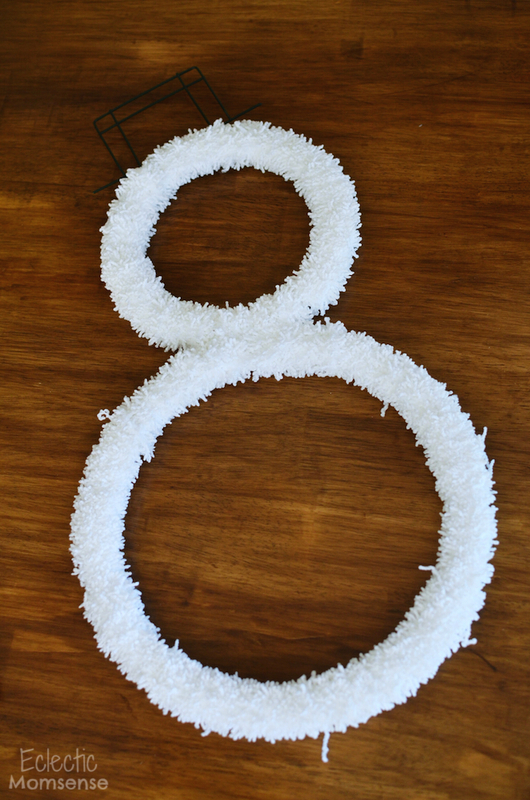 I can’t find the snowman wreath form at Joann’s. How do I make this with two wreath forms? Hi Elizabeth. Use two circle wreath forms of different sizes. Attach at the middle with floral wire. Continue with the same steps for wrapping. Love this wreath, and it looks like something I can actually create. Where do I get the wood photo prop hat? I picked mine up at Joann. It was near the kid’s crafts a couple years ago.